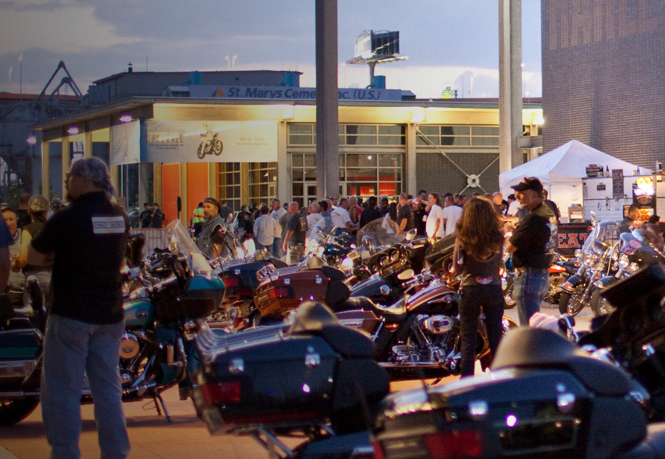 Harley-Davidson riders are a close-knit community that loves wind in the face and good food. 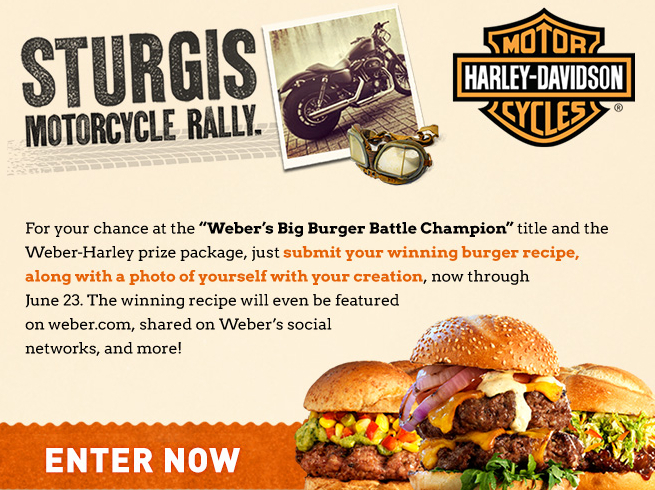 And the good news is Harley-Davidson’s Official Grill Partner for 2014, Weber Grills, will stage the Big Burger Battle Championship at the Sturgis Motorcycle Rally on August 3rd. The Weber Mobile Grill Academy will also be on site to allow motorcyclists a first-hand look at Weber’s grills and accessories and Weber will also host three hands-on grilling classes for Harley Owners Group (H.O.G) members on August 6. Weber’s Big Burger Battle challenge is open to anyone, age 18 or older and you can submit your recipe, along with a photo of the creation HERE beginning now through June 23. Three finalists will be hand-picked by Jamie Purviance, author of the new Weber’s Big Book of Burgers. Purviance is a national grilling expert, a New York Times best-selling cookbook author and James Beard Award Nominee. If you’re the type person who likes playing with an assortment of wood chips and other smoldering materials, to see which types of smoke have the most appetizing affinities for beef, now is your chance to put your unique twist and spin on a burger that will stand out from the pack. Photo courtesy of Weber and H-D.